Home Car News What would actually happen if Trump actually closed the border? What would actually happen if Trump actually closed the border? (CNN) If President Donald Trump’s Twitter feed is the window to his thoughts, everything he says there should be taken seriously. So the fact that he has now on three occasions over the past month and a half threatened to “close” the US border with Mexico means he is thinking seriously about it. But the White House has not explained exactly what the President meant when he threatened to close the border or what exactly that would entail. The path from a sweeping threat to piece of policy can be long and winding. The policy that ultimately resulted from that statement, after an executive order in the first days of his presidency and a more than year-long court fight, was the ban on travel to the US by certain residents from seven countries, five of which are majority-Muslim. But is a threat to permanently close the border of a piece with a threat to completely shut down Muslims entering the country? 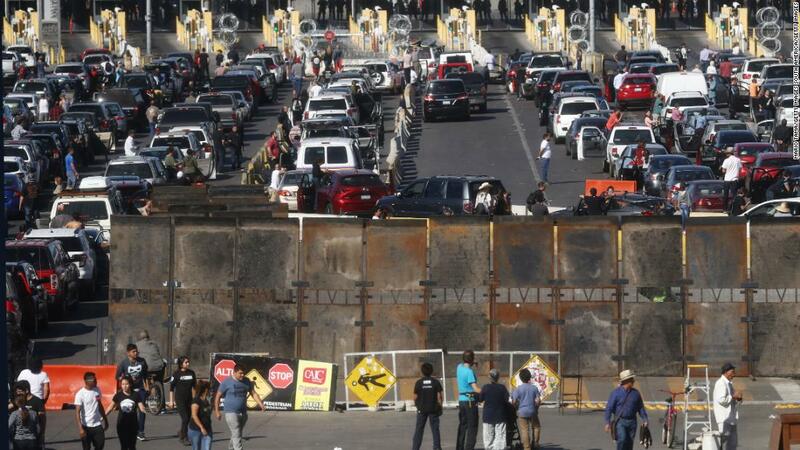 “Does he mean that every single port of entry will be shut down and no one — no vehicle, no truck, no pedestrian, no train — will be allowed to cross?” asked Tony Payan, director of the Mexico Center at Rice University. He suggested Trump could also mean a variety of other things. The southern border is incredibly important to the US economy, especially since Trump is set to sign his NAFTA update, the US-Mexico-Canada Agreement (USMCA) on the sidelines of a meeting with the world’s 20 largest economies this week. In September, the most recent month for which data is available, $34.7 billion in freight crossed in both directions on the border with Mexico, according to the Bureau of Transportation Statistics. Mexico is the US’ third largest trading partner. Stack those billions up against the nearly 41,486 people apprehended at the southern border that same month, according to US Customs and Border Protection. One crude way to look at it is about $836,426 in trade for each apprehension that month. The specter of perishable goods rotting at the border and goods and services unable to pass through could cripple the economy. “At a time like this when already the stock markets are reeling because of trade talks with China, when a lot of people are talking about the US economy going into recession, do you really want to do something that that’s going to send shivers throughout the economy?” said Duncan Wood, director of the Wilson Center’s Mexico Institute. Regarding the October 18 tweets, he did in fact call up the military — more than 5,000 troops — to deploy to the Southern border, although most are not carrying weapons, according to the Pentagon, they are supporting border patrol agents. There is some question as to whether those deployments will be extended in the future. The term “close” seems very specific, but in this case it leaves a lot to interpretation. The border, technically, is already closed to illegal border crossings. Undocumented immigrants cross illegally. Trump has been frustrated about asylum seekers traveling to the US in a so-called “caravan.” Is he just talking about closing the border to them? If so, why refer to closing the border so expansively and threaten to use the military? This sounds bigger than just shutting the border to asylum seekers, but again, we don’t know for sure. Wood sees more of a political argument in the threat, reiterated by Trump after the pictures of migrants swarming the border, something he said cannot be tolerated. 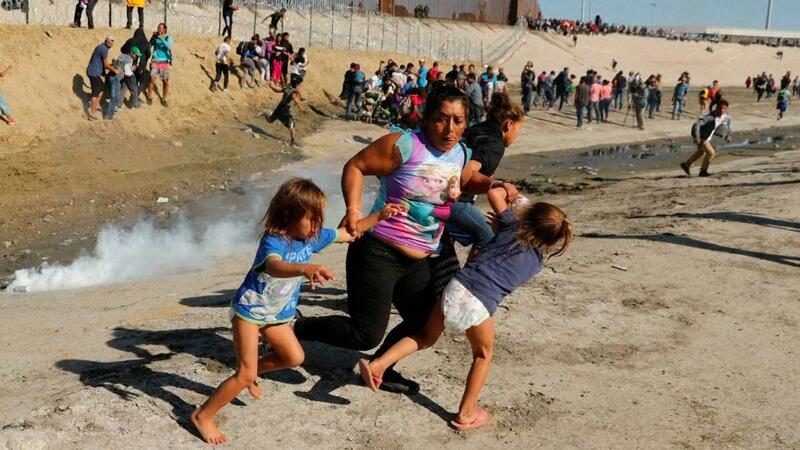 “The incident over the weekend, as horrific as it was to see tear gas used, for many people the more terrifying image for many in the United States was seeing the images of people rushing the border,” Wood said. Can Trump legally ‘close’ the border? While the President may actually have the ability to close the border under the same national security authority by which the Supreme Court approved his travel ban, but as in that case there would likely be limits. “The key, as in the travel ban case, is that he can’t do it in a way that violates constitutional rights — whether of those of a particular national origin, or of those non-citizens with sufficient connections to the US to trigger due process protections,” said Steve Vladeck, a CNN contributor and law professor at the University of Texas. “For instance, categorically closing the border between El Paso and Ciudad Juarez would trap thousands (if not tens of thousands) of Americans and non-citizens lawfully entitled to be in the US on the other side of the border, even though many of them would have a strong claim of a right to travel / return home / etc. 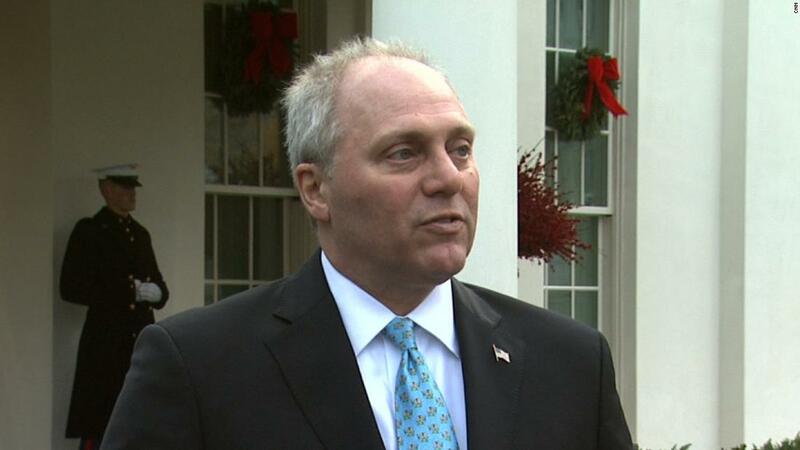 that could raise serious constitutional problems,” said Vladeck. Almost certainly there would be lawsuits. After Trump’s tweets there have been some suggestions that previous presidents also closed the border, although never to keep a specific type of person (migrants) out. President Ronald Reagan, seeking to exert political pressure on the Mexican government instituted checks for a missing DEA agent and drastically slowed border traffic in 1985. It wasn’t covered at the time as “closure,” but rather inspections. It did seem punitive against the Mexican government, according to news coverage at the time, although that was a very different media environment. “Search for clues in agent’s kidnap ties up border,” was the LA Times headline on February 17, 1985, 10 days after DEA agent Enrique Camarena was kidnapped. When the wait times described in the story that day reached more than seven hours, border agents made the decision to only search cars of non-citizens, according to the Times. (Camarena’s kidnapping and gruesome killing, by the way, is the subject of the recently released fourth season of the Netflix show Narcos). 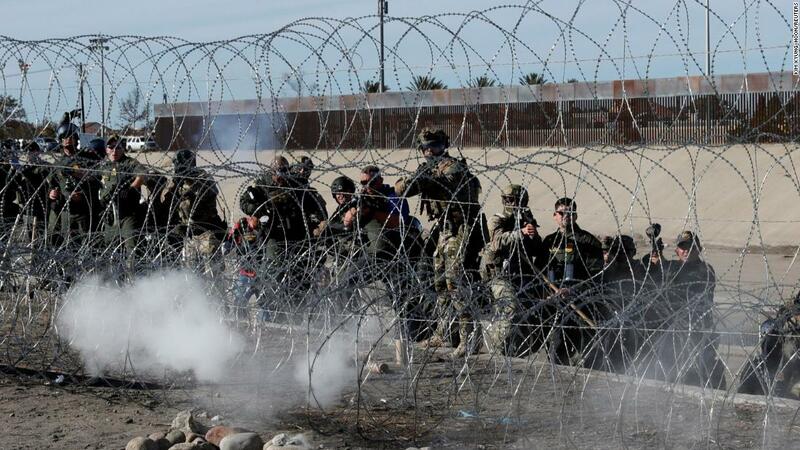 Reading through the coverage at the time, days later the traffic slowdown actually caused a riot at the border, which wounded three Mexican police officers in Texas. The Mexican government lodged a formal complaint in Washington, and the searches wound down shortly thereafter. This was huge news at the time. 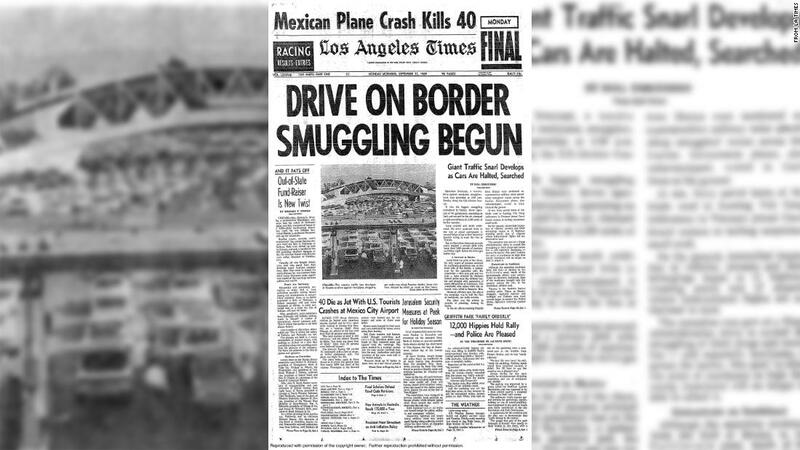 When the project began, in September of 1969, it was a blaring banner headline: “Drive on border smuggling begun: Giant traffic snarl develops as cars are halted; searched.” An effort against marijuana smuggling at the peak of the ’60s, it was another car-by-car inspection that would periodically be halted to alleviate traffic. The operation had distinct effects on life at the border, which before had been much easier to cross. Mexicans at the time would routinely cross the border to shop, according to an LA Times story later in September. There were also increased inspections after the September 11, 2001, terror attacks. They caused long lines at the border and locals were encouraged not to make nonessential trips, according to reporting at the time. But that was far from a complete border closure. And it came in conjunction with a temporary air travel shutdown. The point here is that in none of those cases was a president threatening to “close” the border. And their actions did not exactly equal closure. It is entirely possible that by “close,” Trump means something like what’s been done before, but the White House has not yet explained his tweets. While none of these was billed as “closure” when it occurred, Josiah Heyman argued that even a marked slowdown equals a closure for truck drivers and for people who commute through the border. He said it’s hard to imagine what kind of ripple effect a full-on closure would have. “I’d like to speak up for the border when I say there are millions of people here, and we have jobs and families and lives that interact with it every day,” said Josiah Heyman, a professor who studies the border at the University of Texas at El Paso and pointed out that a lot of US citizens live and work on both sides of the border. Payan argued none of what the administration has suggested will solve the problem of migrants from Central America heading for the US. For that, he said the US should be concentrating on Central America and not the US border.